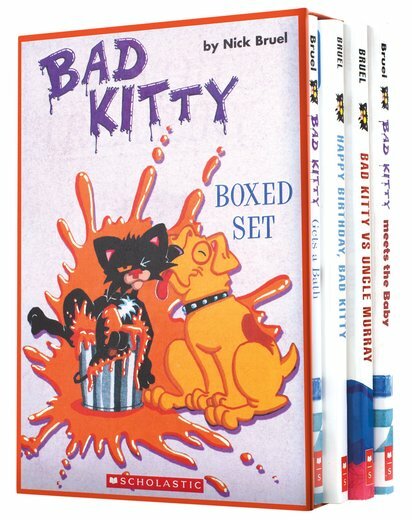 A boxed set of Bad Kitty! Manic, bug-eyed: this puss makes fur fly. The spiky black marker-style art is nearly as wild as she is. Nick Bruel perfectly captures a furious feline’s zany energy in his dramatic cartoons. They’re bristling with panic: this is what people mean when they say that art ‘pops off the page’. Be warned: stand back. Four stories. Endless disasters. This is Bad Kitty at her very worst.